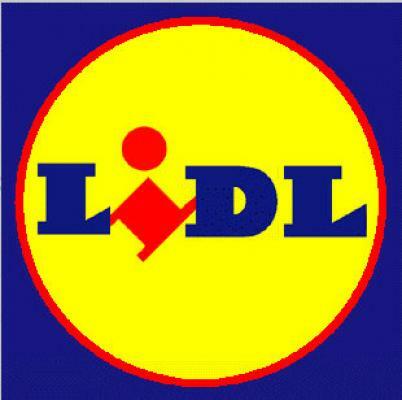 LIDL is a savior. The German discount supermarket chain set up shop on The Rock last year, opening one of many stores in Protaras just a few blocks away from Whine On The Rocks' summer headquarters. Before its time, The Wife, Ph.D., and I had to lug our sun-roasted rinds all the way to Paralimni (fifteen minutes away!) to buy beer, broccoli, beef and bustiers. What's fascinating about shopping at LIDL is the element of surprise. The experience itself isn't posh, but this is made up by dirt cheap prices, excellent product quality and, best of all, the possibility of unearthing edible treasures that weren't there on a previous visit. On separate occasions, I've stumbled upon Weisswurstsenf (the sweet mustard I fell in love with in Munich), risotto with white truffles, chocolate-covered coffee beans, salmon tagliatelle and American marshmallows. Last time around, a bottle of 2011 Santorini Assyrtiko made exclusively for LIDL puppy-eyed me from its shelf and I took her (Is wine male or female? Depends on the variety, right?) home where she spent her last minutes on earth whetting my burning lips. By the way, LIDL, if you ever lay eyes on this blog, where has all the sweet mustard gone? 2011 LIDL Santorini Assyrtiko - Muted yet fresh bouquet marked by citrus, orange-like aromas. To the mouth, a citrus explosion accompanied by the vibrant acidity associated to the variety. Little minerality, short, not as complex and maybe a tad gloppy compared to higher-end versions. For €4.99, though, definitely worth drinking and great for the upcoming scorch. 84/100.